Director Erez Laufer is the co-Editor of 2 Oscar nominees: Chris Hegedus and D. A. Pennebaker, The War Room for Best Documentary (1993) and Laura Poitras, My Country My country (2006). His own film Mike Brant, Laisse-moi t'aimer won the 2002 Israeli Academy Award for Best Documentary 2002, and had its international premiere at the Directors Fortnight, Cannes Film Festival 2003. He has also worked on numerous projects with renowned filmmakers Chris Hegedus and D. A. Pennebaker, a three-part series celebrating Woodstock's 25th anniversary titled Woodstock Diary; the documentary Startup.com and Only the Strong Survive. 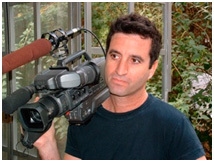 Erez was also involved with numerous international documentary film projects: STEPS, South Africa 2001 - an international HIV/AIDS film campaign for the international T.V market; Project 10, South Africa 2003 - a series of films for the 10 year anniversary for the SA independence; and Why Democracy? and Steps India. As a prominent editor and film maker and he is mentoring workshops around the world as X-Orient, The Green House, IDFA summer school and Archidoc at Le Femis Paris. Director and Editor Miri Laufer is the editor of numerous documentary films and TV series, working together with some of the well known directors and documentary film maker in Israel as Uri Rosenwaks, Ibtisam Maraana. 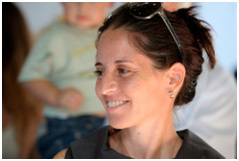 In the last 10 years she collaborated with her brother, Erez Laufer, as an editor. For the last 5 years she conducted a thoro research for this project, which is also her debut as director. Producer Steven Markovitz has produced and executive produced over 50 documentaries, including Project 10: Real Stories from a Free South Africa (Sundance, Berlin, IDFA, Hot Docs, Tribeca). He recently completed the documentary omnibus Congo in Four Acts which has travelled to 50 festivals including Berlinale 2010, Hotdocs and IDFA. In 2008, he produced the feature documentary Behind the Rainbow a feature documentary on South Africa's ANC by Jihan El Tahri for ZDF/ARTE, SBS, SVT, VPRO, SABC and ITVS (USA). Steven produced It's My Life, an intimate portrait of Zackie Achmat, South Africa's leading AIDS activist, the film won five international awards and sold to over 20 countries. He is a founding member of the Independent Producers Organisation (IPO) and has sat on various international juries including Rotterdam and Silverdocs. He has produced feature films and shorts that have appeared at Canees, Toronto, Berlin, Sundance and an Oscar nomination.